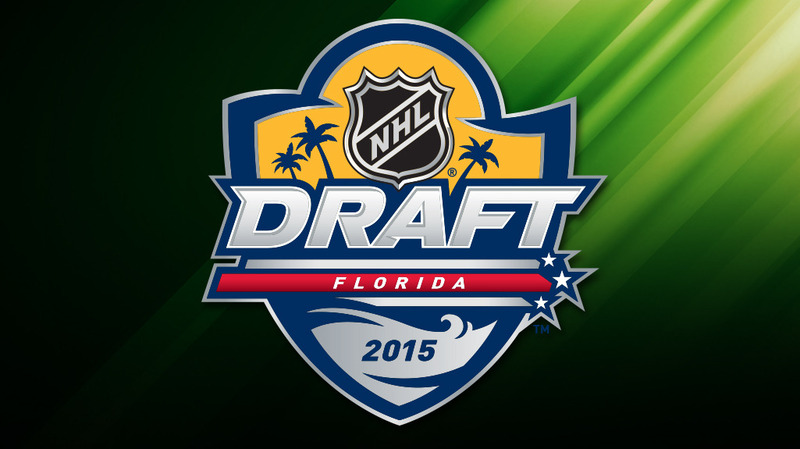 The Minnesota Wild selected seven players during the 2015 NHL Entry Draft Friday-Saturday in Sunrise, Fla., including six players during rounds 2-7 Saturday. Minnesota finished the Draft having selected three forwards, three defensemen and one goaltender, including three Americans, two from Sweden and one player from each Czech Republic and Russia. Minnesota selected center Joel Eriksson Ek (Joel is pronounced Youl), 20th overall, during the Draft’s first round Friday night. The 18-year-old (1/29/97) recorded six points (4-2=6) in 34 games with Farjestad in the Swedish Hockey League and tallied 32 points (21-11=32) in 25 games with Farjestad’s Junior team in 2014-15. His six points were the most by any Under-18 eligible player and his 21 goals led the Under-20 league. The 6-foot-2, 190-pound native of Karlstad, Sweden, notched six points (5-1=6) in five games for Sweden at the 2015 Under-18 World Championship. He led his country in goals and ranked tied for first in scoring. Eriksson Ek also represented Sweden at the 2014 Ivan Hlinka Memorial Tournament and at the 2014 World Under-17 Hockey Challenge. Minnesota started Saturday by selecting forward Jordan Greenway in the second round with the 50th overall selection. The 18-year-old (2/16/97) spent the past two seasons with the U.S. National Team Development Program (USNTDP) in Ann Arbor, Mich., totaling 78 points (23-55=78) in 96 games. A 6-foot-5, 222-pound native of Canton, N.Y., Greenway represented the U.S. at the 2015 Under-18 World Junior Championship (1-6=7) and at the 2014 World Under-17 Hockey Challenge (3-2=5), earning a gold medal at both tournaments. He is committed to Boston University for the fall of 2015. The Wild selected goaltender Ales Stezka in the fourth round with the 111th overall selection. The 18-year-old (1/6/97) native of Liberec, Czech Republic, posted a 2.74 GAA and a .913 SV% in 27 games with the Liberec Junior team and a 1.42 GAA and a .948 SV% in seven contests with the Liberec U-18 team during the 2014-15 season. The 6-foot-3, 178-pound netminder catches with his left glove and also represented the Czech Republic at the 2014 Ivan Hlinka Memorial Tournament and at the 2015 Under-18 World Junior Championship. He is expected to play with the Sioux Falls Stampede of the United States Hockey League (USHL) for the 2015-16 season. Minnesota acquired the 135th overall selection in the 2015 NHL Entry Draft from Boston in exchange for the Wild’s fifth-round pick in the 2016 Draft. With the 135th pick, Minnesota selected 18-year-old (4/26/97) forward Kirill Kaprizov in the fifth round. The 5-foot-10, 190-pound native of Novokuznetsk, Russia, posted eight points (4-4=8) in 31 games with Novokuznetsk of the KHL in 2014-15. He also represented Russia in the 2014 World Junior A Challenge, the 2014 Ivan Hlinka Memorial Tournament and scored seven points (5-2=7) in four contests at the 2015 Under-18 World Junior Championship. The Wild selected defenseman Nicholas Boka in the sixth round with the 171st overall selection. The 17-year-old (9/8/97) spent the last two seasons alongside Greenway at the USNTDP. The 6-foot, 197-pound native of Commerce, Mich., tallied seven points (4-3=7) in 45 games with U.S. Under-18 program in 2014-15. He also represented the U.S. at the 2015 Under-18 World Junior Championship, netting a goal in four contests. He is committed to the University of Michigan for the fall of 2015. Minnesota selected 18-year-old (1/24/97) defenseman Gustav Bouramman 201st overall with a seventh-round selection. The 5-foot-11, 184-pound native of Stockholm, Sweden, totaled 44 points (5-39=44) in 67 games with Sault Ste. Marie of the Ontario Hockey League (OHL) in 2014-15. With its final selection in the 2015 NHL Entry Draft, Minnesota claimed 18-year-old (4/19/97) defenseman Jack Sadek 204th overall with a seventh-round selection previously acquired from the Tampa Bay Lightning. The 6-foot-2, 185-pound native of Lakeville, Minn., totaled 25 points (5-20=25) in 25 games with Lakeville North High School in 2014-15. He is committed to the University of Minnesota for the fall of 2015.